Synopsis: Ethan Wate used to think of Gatlin, the small Southern town he had always called home, as a place where nothing ever changed. Then he met mysterious newcomer Lena Duchannes, who revealed a secret world that had been hidden in plain sight all along. A Gatlin that harbored ancient secrets beneath its moss-covered oaks and cracked sidewalks. 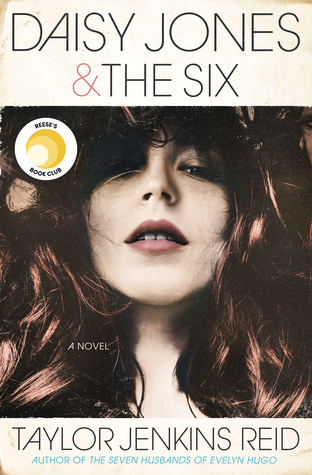 A Gatlin where a curse has marked Lena's family of powerful supernaturals for generations. A Gatlin where impossible, magical, life-altering events happen. Thoughts: For anyone who knows me, they know Beautiful Creatures was one of my Top 5 favorite books in 2009. I don't even remember how many people I recommended it to. Needless to say, I was thrilled when I received the opportunity to read the sequel. Let me tell you, it does not disappoint. 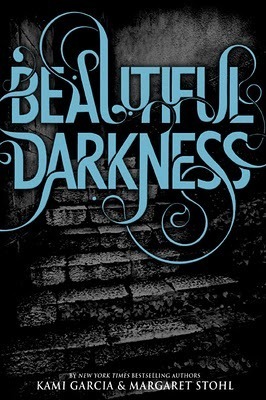 If you thought Beautiful Creatures was cryptic and mysterious, wait till you read Beautiful Darkness. The story starts off right where Beautiful Creatures ends. Seventeen the last to know..."
As Lena struggles with loss and life, she begins to pull away from Ethan. He doesn't know what to do and everything he thinks is right ends up being wrong. On top of his rocky relationship, Ethan begins hearing new songs, more eerie than the last. He begins to question everything he thought he knew about Casters, Lena and himself. As Ethan begins to explore the dark secrets of the Caster world, he stumbles across secrets regarding himself and those closest to him. The past meets the present, but what's to come of the future? Who knows. Guess you'll have to read it to find out. It's hard to fully explain how incredibly this book is without revealing too much on both Beautiful Creatures and Beautiful Darkness. Just know it's amazing, and I'm sure you'll love it. Though I loved Beautiful Creatures more, I still really enjoyed this book. At times, I found the pacing to be a bit rocky. The instant I thought this, it picked right back up. The book has all the old key players (Ethan, Lena, Link, etc), but also introduces new characters who, too, play an important role to the overall story. Emotions run deep in this sequel. You'll find yourself wanting to cry one minute, and die laughing the next. Ethan and Link are HILARIOUS when they're together. Whether it's love, hatred, dispair or humor, every character will evoke some sort of emotion from the reader. At least, it did in my case. If you love Southern Goth and books stuffed with surprises and suspense, you'll love Beautiful Darkness. Trust me, this is a 2010 Must Read. I do recommend reading Beautiful Creatures and refreshing your memory prior to devouring Beautiful Darkness. Had I had more time, I would've done the same. Yay!! I can't wait for Beautiful Darkness, I'm glad to hear how good it is. Thanks for the great review! Great review Lena! I read this one not too long ago and I agree that I liked Beautiful Creatures better but this was still a great sequel!